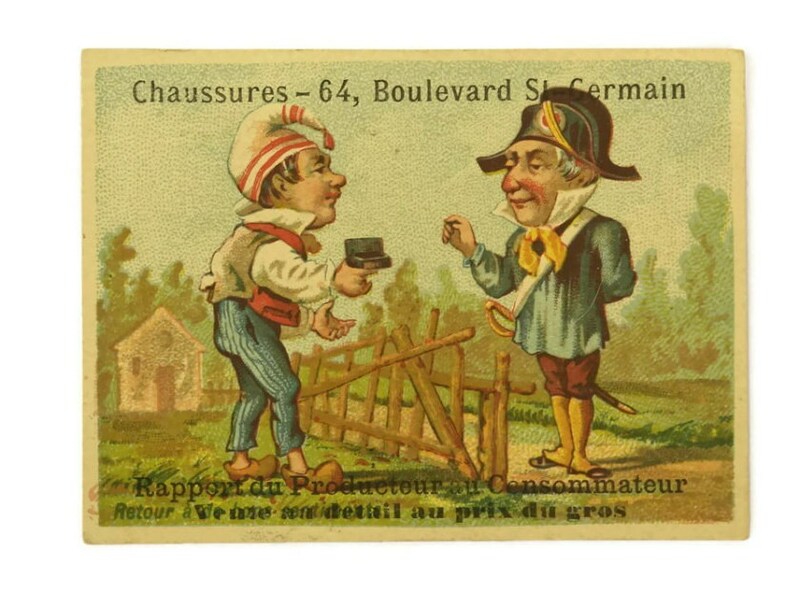 Antique French Advertising Trading Cards. 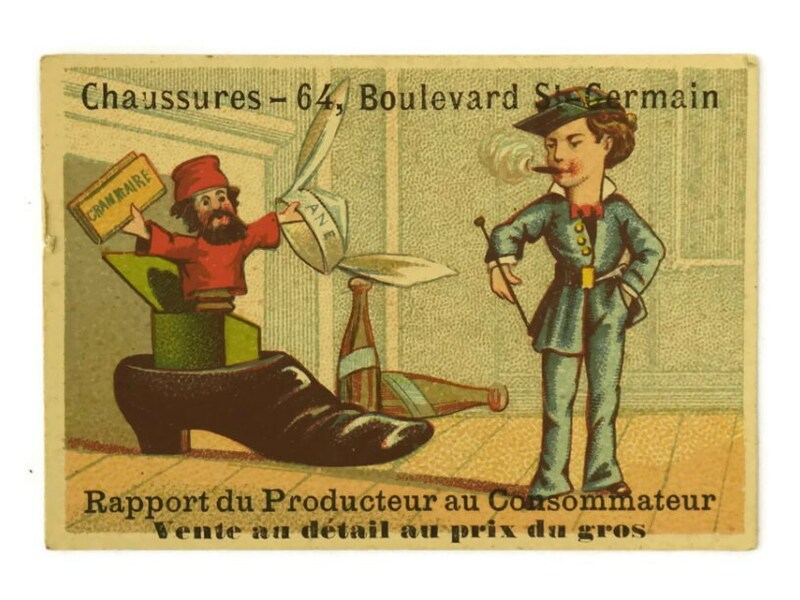 L. Foussés Victorian Shoe Trade Cards. 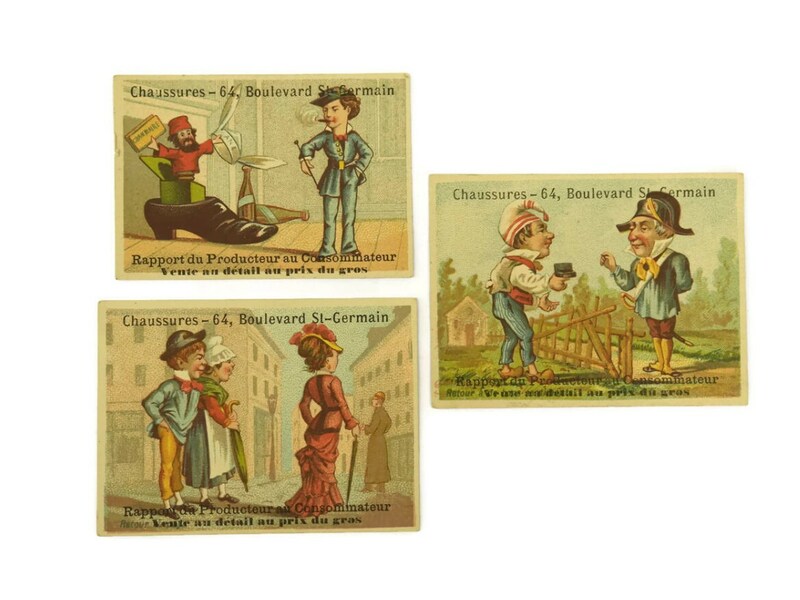 A set of 3 antique French trade cards dating to the turn of the last century. 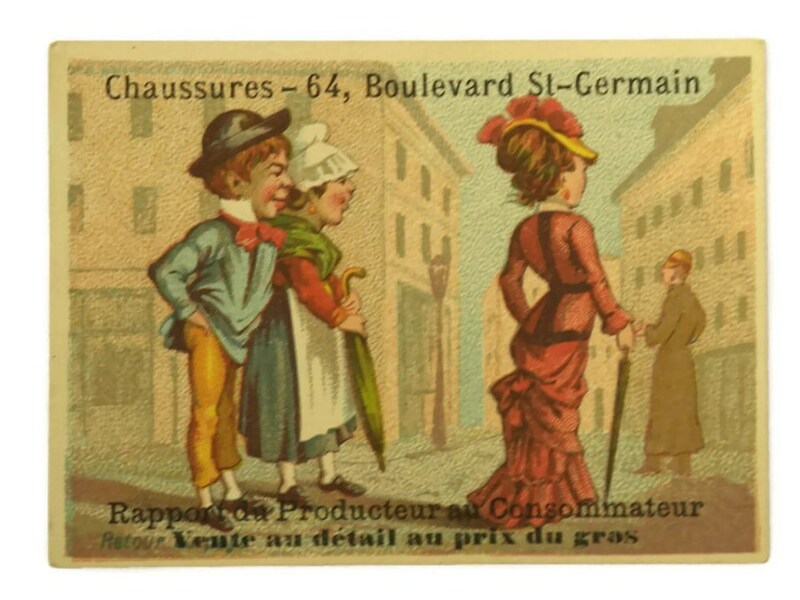 They each feature charming and humorous illustrations and have advertisements on the reverse side. 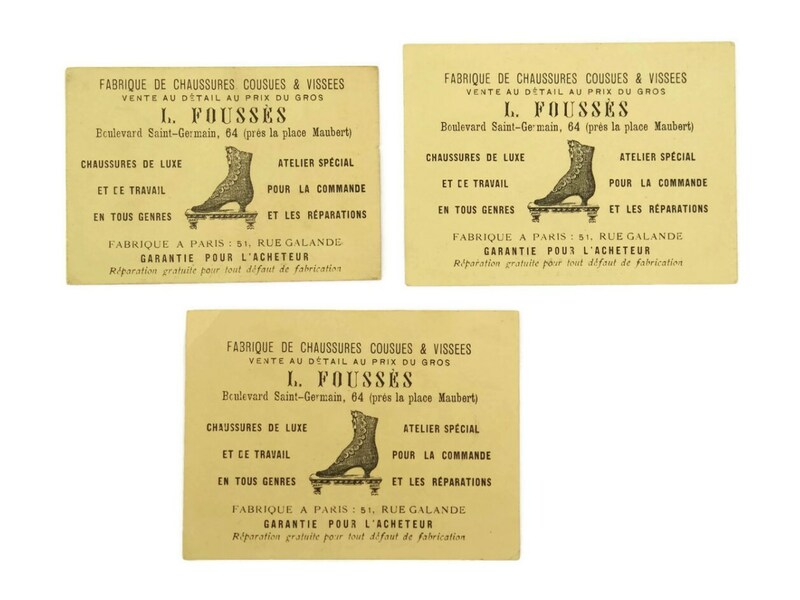 The set of trading cards were printed for a French shoe store L. Foussés in the city of Paris. 4" x 2 1/2". (10 cm x 6,5 cm). The set of 3 tradecards is in good antique condition with some lights signs of use and age.